The much-awaited Apple iPhone X will be available to pre-order on October 27, 2017. If you’re planning to get one of this cool smartphone, here’s a first look and hands-on video to keep you excited. The new Apple iPhone X is powered by dual-core A11 bionic neural engine. It features a 5.8‑inch edge to edge Super Retina display and made of the most durable glass ever, front and back. 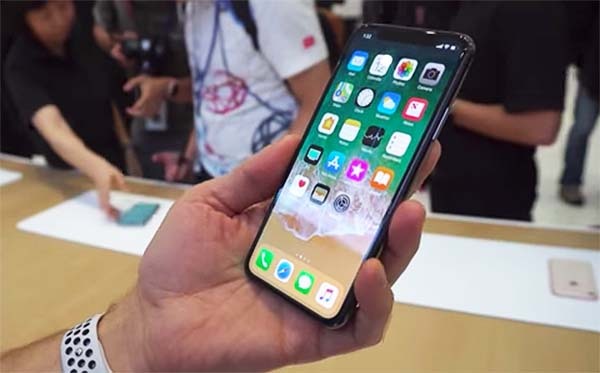 iPhone X is capable of wireless charging and it comes with the whole new facial recognition system. It is water and dust resistance. iPhone X starts at $999 US. The 256GB version costs $1,149. Preorders open on October 27th, shipping begins November 3rd. It will be available in space gray and silver colors. The iPhone X is launched as Apple’s anniversary phone. Watch on the Hands-on and First Look video below courtesy of 9to5Mac. Meanwhile, the iPhone X is reported to have shortage in supply. Rumor has it that the advance 3D sensor used in Face ID system is causing delay in production. The issue might lead to ‘early’ out of stock and delays in deliveries. Previous articleWATCH: Xander Ford Bashed Kathryn Bernardo, Called the Actress Sakang?